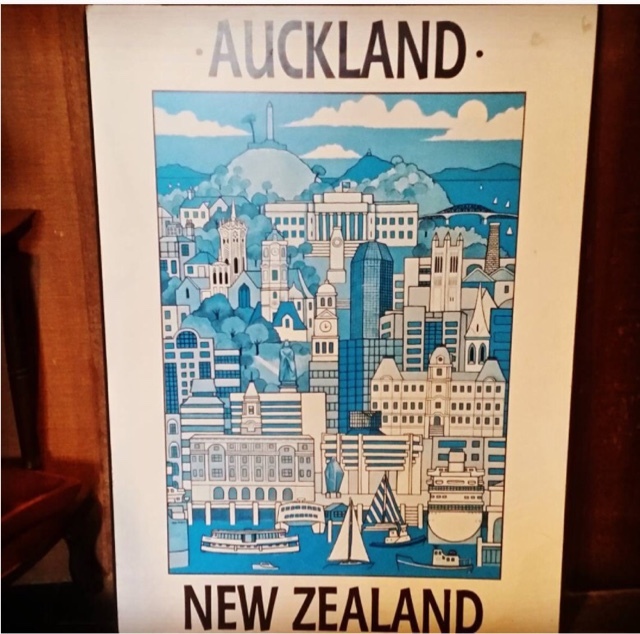 10 of us set off for Auckland at the crack of dawn, well we were meant too, but the flight was cancelled - so it was slightly later than the crack of dawn! 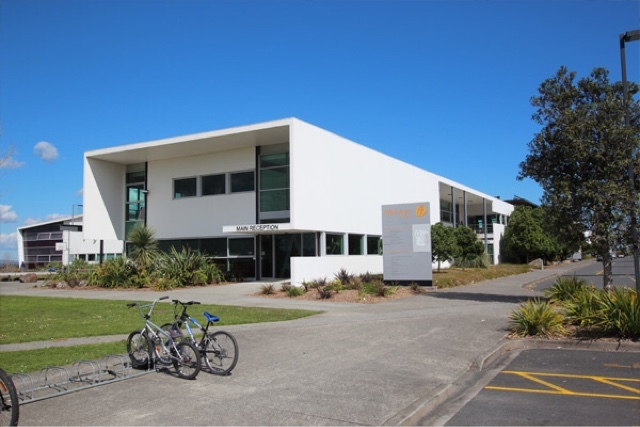 The plan was to visit 3 schools to look at curriculum design, pastoral approaches and collaboration. First stop was Alfriston College - unfortunately this was a shortened visit due to our flight cancellation. Nevertheless we did see their innovative authentic learning classes in action. The programme is in it's first year and each term has seen an adaptation to the programme. Learners track their own learning through daily reflections that are available to the parents, as is teacher feedback. Not all specialist subjects are covered in the teacher groupings. So collaborative planning and coaching of the teachers a key part of the journey. 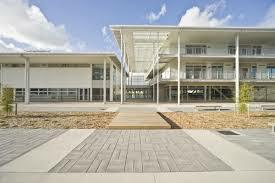 Next stop Hobsonville Point where our Commissioner joined the tour - the target here was not to be 'wowed' by the amazing building but to focus on what curriculum and learning look like. We were able to see the 'small learning modules' in action. 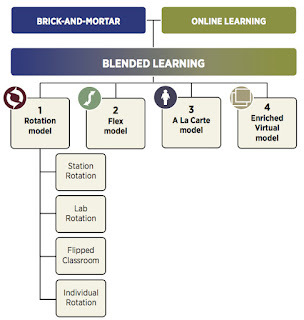 These are the connected units of learning that the students opt into. What was especially impressive was the ways in which the students were able to talk about their learning with us. The connections with the community around the learning was unbelievable. A group of students shared their work around a coastal walkways project ( English and Technology). The technology was the design of structures to populate the walkways and the English component was around the legends and Storting of the designs. It was like listening to a Yr 13 discuss their work. High level thinking and deep thinking. 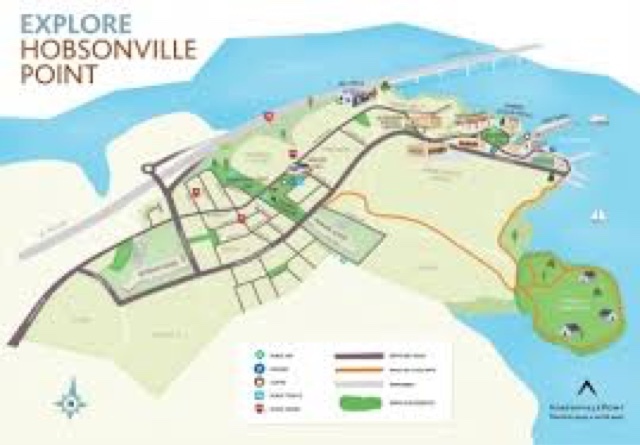 The work will occupy the coastal walkway on the map below - seats, lookout architecture etc. The school really has an amazing community connection. Another module was based around English and Science - the science component they were looking at was magnetism And the students were writing sonnets. The study of sonnets was focussed on the elements of love and death. One student was discussing with Ros his teacher, the aspect of attraction in love ( the link to the Science). Different forms of poetic writing were linked to different scientific aspects. The students were also creating a timeline of scientists and writers who had been innovative. It was an interesting combination to see in action. Leaving HPSS we experienced the worst of the Auckland traffic and motorway system - rain, nose to tail traffic and excruciatingly slow trips down the motorway. Day 2 began at Mission Heights Junior High, a 7-year-old Yr 7-10 school. The students were grouped in whanau/houses with learning coaches, and A LOT of time was dedicated to planning - every Thursday afternoon (3-4.30) Learning Teams focussed on the needs of the learners. Tuesdays alternated between collaborative planning and professional development, again from 3-4.30. The school vision and values were evident everywhere - Principal and DP greet students at the gate most mornings. The vision of 'growing greatness through innovation' constantly evolving personalised learning was 'lived' in the school. Kids confidently talked to us about their learning - the level they were at and what they needed to do to move on. Constant reflection around - are we living the vision? and can we see the vision? are a key to improvement. What struck a chord with many of us was the DEEP learning sessions - an hour at the end of each day. The premise is that all staff have a passion and they put it forward and offer a class. These can be small or large scale. Some of the community are also paid to run programmes. Not having teachers spending valuable amounts of time on pastoral admin was a winner for us - a pastoral admin officer was attached to each house - and made perfect sense. Collaborative planning across thematic units was a real focus - there was however flexibility for year groups or house areas to approach the term's unit in an individual way. 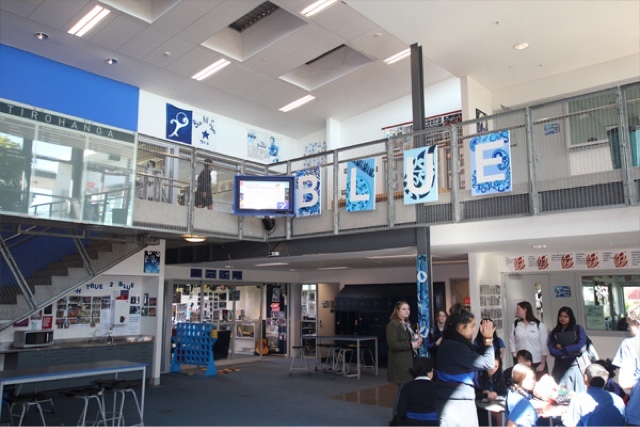 From MHJC, we returned to Hobsonville Point to spend some time looking at their learning hub and learning coach model. Small groups of students with a learning adviser who monitors curriculum coverage and module selection. Here we actually had time to sit down and reflect on a couple of days of visits. 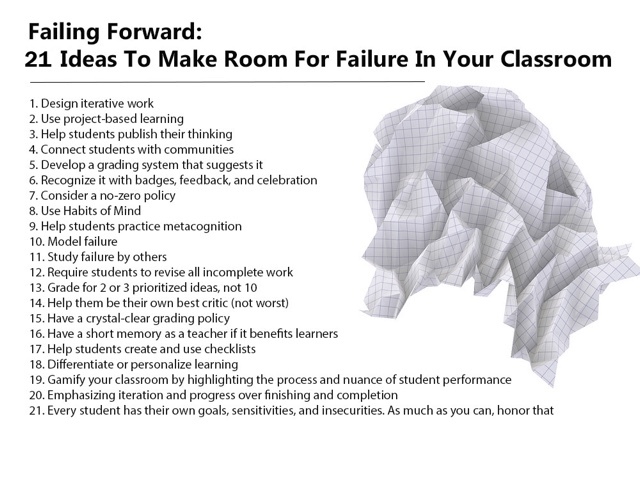 This really assisted us in firming up our thoughts and suggestions for ways to move forward with curriculum design. Many thanks to DI and Maurie for hosting us so generously and providing a space for us to work in. On a final note we experienced some of the best and worse of what Auckpand has to offer - from amazing blue sky as we crossed the Harbour Bridge on Wednesday to the miserable grey drizzle that almost gridlocked the motorway on Tuesday meaning we spent 40 mins to travel the 6 or so kms from Manukau to Sylvia Park. Nice definition - the smooth integration of technology into the classroom - flexible learning in a number of ways - the blending of face to face and online in a number of ways. 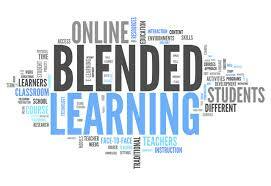 Blended learning does not mean replacing the teacher with technology. The outcome is not the content - what skills do we want to be demonstrated. Gauging maths skills through a quiz - but gauging flying skills through a simulator, complex skills ets through complex games! What does one technology give you over another technology? What advantage does a chat room give you over a pen and paper? Straight into work! Making a lesson using Blendspace. Have to say finding course straight quite after school hard!! Flipped Classrooms - what are the beauties or benefits of flipping the classroom? 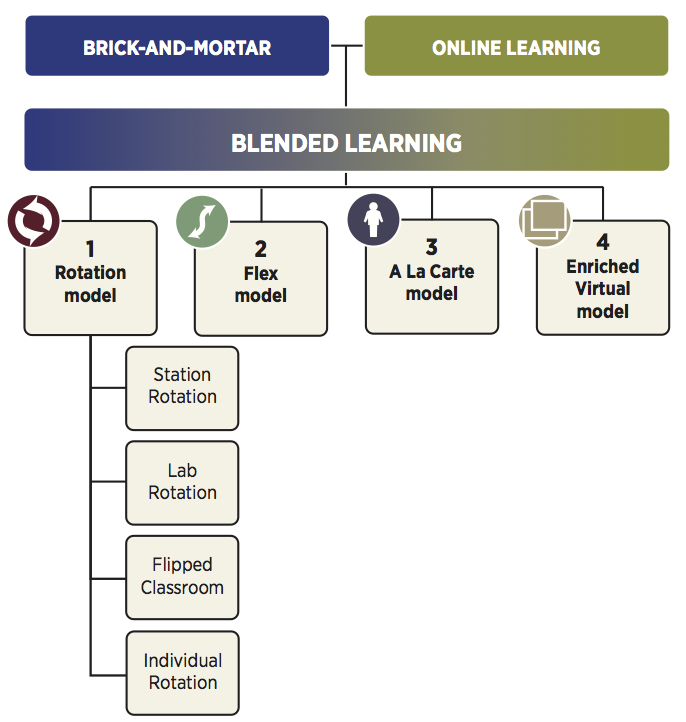 The four pillars of flipped learning are explained here - What is a flipped lesson? Leading the discussion is a key aspect - there are lurkers who may not want to post immediately. Twitter is a great tool for this type of discussion - BUT it can be distracting - easy to get sidetracked unless you are using a list. To be honest I found concentrating after a full day at work quite a challenge - looking forward to getting back to Saturday mornings in two weeks time. This week session is based around connected learning and leadership theories - these are the core of our next assessment. The critical part is that the leader needs to take the people along! B - You have just started to provide online learning resources to your students. However the use of these is still limited. How do you increase the engagement with the digital resources when the students are outside the classroom? 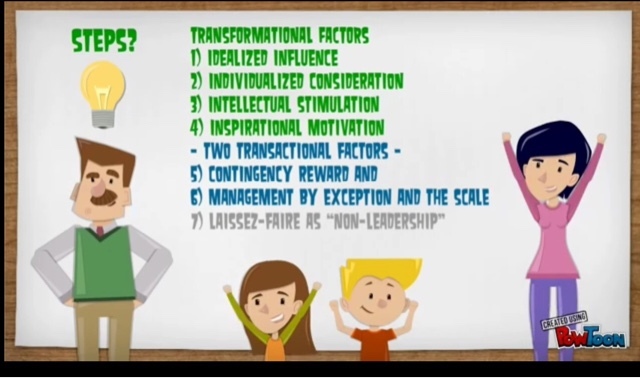 Leadership Theories and Styles - How do we differentiate the two? Many leaders styles are a conglomerate of many theories - many leaders may have had no exposure to theory - but have made assumptions! The context will impact on the leadership style that is chosen. These may vary! Assessment - look at the theory, analyse the theory and EVALUATE the theory. This is the key part. The development of leadership begins from the 'great man' theory where leaders are born. If characteristics of leaders are innate but can be identified, surely they can be learned - then does that mean only one person can lead and do they need all characteristics? But situational and distributed leadership? 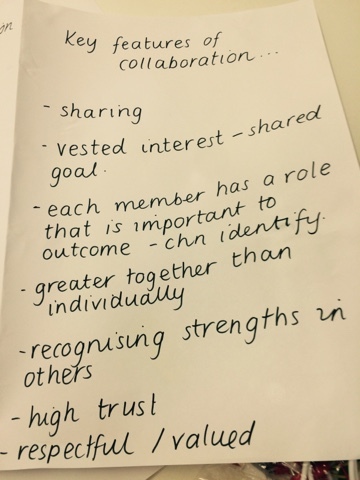 How can leadership be shared? 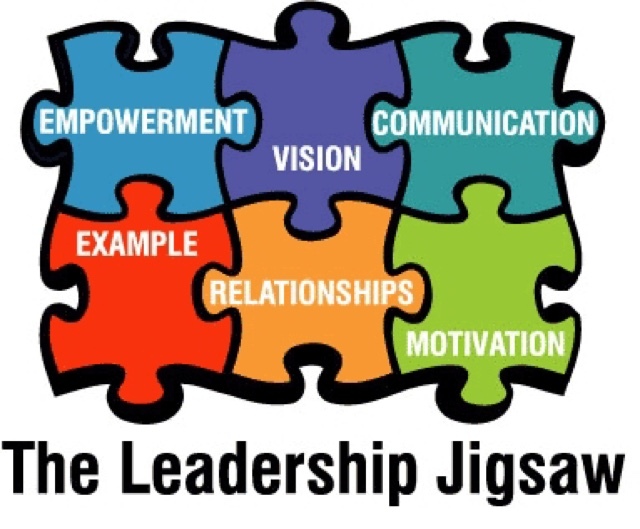 We assume that the needs of the group are more important than the needs of the individual - servant leadership. Negotiating an agreed outcome - for all the group - leads to transaction ie transactional leadership (both negative and positive outcomes). Transformational leadership is about developing people in such a way that you cooperate and work towards a common goal - an overarching vision! The vision needs to be co-constructed. Shared vision. Fullan's leadership theory - complexity - networked systems in schools - class, year level, faculty, school etc leaders need to be developed at all levels of the system. Developed for education. Note: Who are the leading lights in the theory? Or each field. Leading e-learning journals. 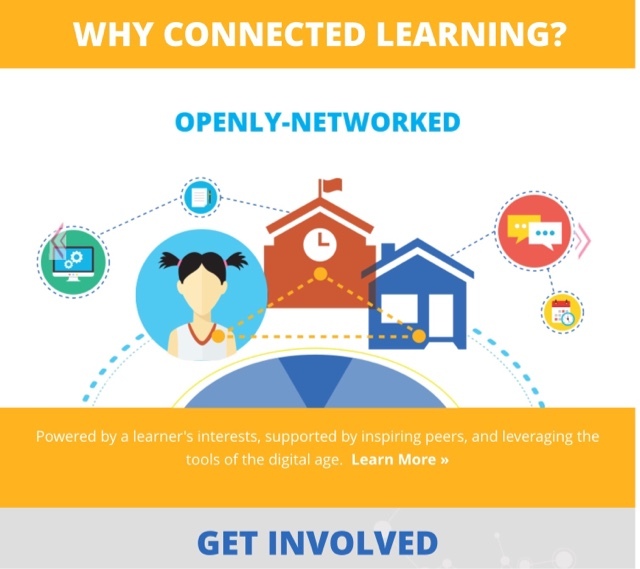 How are we connected - not just by digital means - Learning takes place outside of formal areas of learning. Learning is ubiquitous. 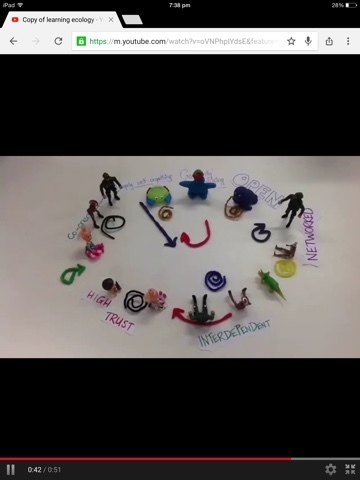 Mimi Ito short video - For each learner there is learner there is an optimum curriculum - real works problems, social connectivity, engagement, fluid boundaries between curriculum and spaces, home and school. Is there a widening gap between privileged and less privileged - going outside our public infrastructures in order to gain these optimal educational opportunities. The digital divide exists financially / economically - it's not the technology that improves learning, it's not the redesign of the learning activities. A computer won't change the outcome, but it's the learning design. Networked learning - knowledge exists in the network. Learning is not an individual human function - we only learn in a network. We are talking about distributed knowledge - are the brain and the mind synonymous - far too complex for a Saturday morning! Engagement - what does it look like and what does it mean to you? There is a much bigger place for the student to have ownership of their r learning - impact on engagement. Many forms of engagement. Nice quote from - teach like a pirate ! How you connected is your presence as a teacher? What exists in a face to face classroom - such as cognitive presence, emotional presence etc... How do we ensure that we have these in an online environment. What is my personal learning environment? We used a storyboard to share the PLN of a pair share! This is the storyboard I created to show Shona's PLN. Today's session focussed on 'Learning theories' - but before we know about theories we need to understand the term 'learning' - Schacter, Gilbert, Wenger 2011. There was a good definition here, which I'll add in later. What do we mean by theory? Assumptions are examined for understanding - explaining and making predictions any given subject matter - a theory is never proved completely- it tries to explain phenomena. A style - your preferences associated with learning. Theory tries to explain a phenomenon, a style reflects your preference. Collaborative task for the days- Stop motion theory - explain one theory as an 'elevator pitch' - the time it takes to ride an elevator. The activity highlighted some key things about learning - the pressure of time; the time span of working memory, pressure of expectation, tension between the expectation of the organisation and what we understand is good learning. This is a key divider in particular in secondary schools. Added to the complication that we continue to stick kids together by chronological age not readiness to learn. To what extent are some of the assumptions that we make being tested? Or are they at all - more questions than answers! Learning Theories - a brief intro - H style! Behaviourists - how do we know that learning has taken place? The mind is like a black box that we can't see in! 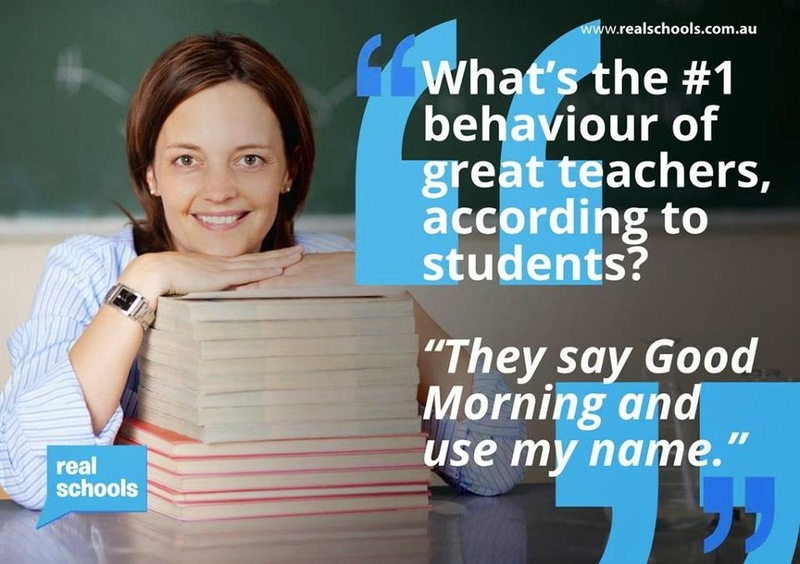 The only evidence we have is behaviour - behaviour is evidence of learning - stimulus and response. Cognitive - a sensory system provides input, and a short term memory system. Somewhere there has to be a long term theory. A system of inputs (much like cybernetics) - an information processing system. A working memory - what moves from short term to long term. From this we develop a cognitive load - at any given time we concentrate on 7 things. Constructivism - an increasing complexity of what happens in the mind - there is a set of connected memories - we learn in social environments - complexities and social learning. Connectivism - is it a theory or not? This describes a set of phenomena - but what does it tell us about our learning - that knowledge lives in networks - the networks can be human or not. The brain is a network. Question - where does an original idea come from? People are the hardest part of any technological change - people are the problem and people are the solution! In have introduced my Yr 13 Eng class tonDweck's theories, in a simplified way, this year. My sim has been to get them to have a growth mindset around the challenge of Yr 13 critical literacy. 'Intelligence is innate and cannot be developed beyond what you are born with' - think about the barriers that schools create - artficial. 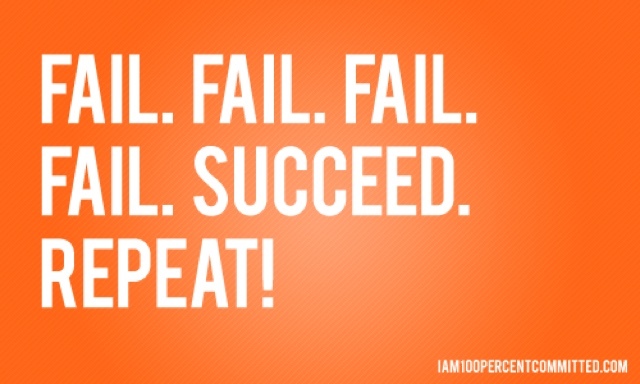 This is a fixed mindset approach - that many secondary school subjects fall victim to. Deficit theory. Sugatra Mitra's work defies this - for learning to take place you need a computer and lack of a teacher! Creates an interesting dichotomy. Claxton's view that intelligence is defined ' as the kind of mind that responds most readily to the peculiar demands of school' (2008). At school we tend to focus on the cognitive do sins as opposed to the different aspects of intelligence. An interesting question posed - Which comes first - ability or interest - what makes us and the students successful? It's the mindset the creates success. Current view of intelligence - brain is malleable, a muscle that can get stronger and work better as you learn and stretch yourself. Over time you get smarter. (2010). Evidence to know show that the brain is still malleable into old age - as long as you use it. This is a key finding for teachers. The focus is on one's own development and challenge. Often mindsets are invisible, yet rigid. They direct the way we operate. Check out - Smarter Every Day 133 The backwards bicycle brain. Great experiment in neuroplasticity! Learn, unlearn, relearn! https://www.youtube.com/watch?v=MFzDaBzBlL0 The fascinating moment was when he could not ride a bike correctly after learning the backwards bike! 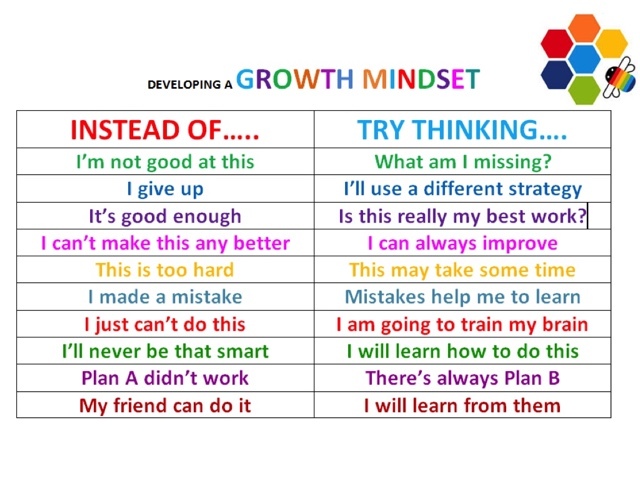 How do we build a growth mindset in learners! When we try to implement change we often come up against fixed mindsets! We need to be able to model failure. Model failure - this us something that we can do in Eng,ish and my Schol class - let's look at the essays that don't quite make it, as well as the ones that do! This is something that I have not done recently. I usually look from the top down. How do we manage independent learning in our school? Are we using Moodle effectively? The quiz that directs the learner pathway. 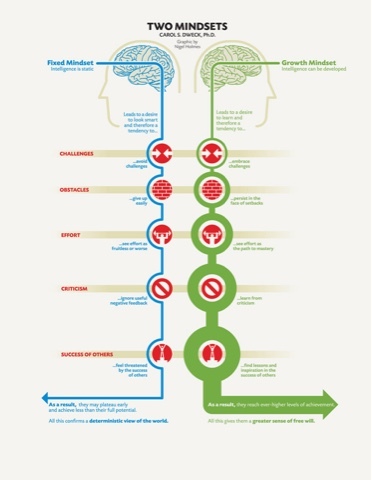 How do we build growth mindsets with the staff around us? After reading this week's texts, I'm looking forward to this week's tools - Aurasma and others. These looked like some useful applications for school science an PE. The image is held under advice - when activated various parts of the human body can be seen and worked on. 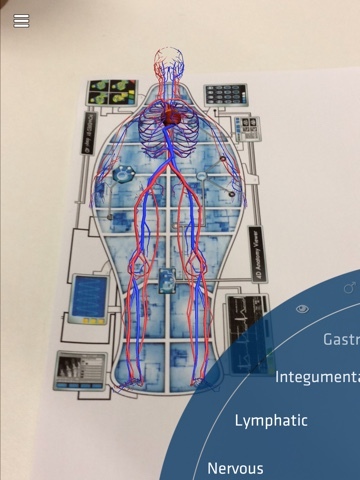 Anatomy 4D is the free app. This is the blood circulation system overlay on Anatomy 4D - viewed through my iPad. The focus of today's session was around the future of technology in education - the possibilities, the challenges and the questions. Augmented Reality - the seeds planted in 1964 - Marshall McLuhan - the invention of technology, extends our bodies - eg the phone extended our ability to hear, cars extended our ability to walk (travel).. In a metaphorical sense. When technology is introduced into society, they lead to explosion - but eventually lead to implosion - how long will we need cars for? Mark Weiser - 1990s - coined the phrase - ubiquitous computing - they weave themselves I ton the fabric of everyday life - technology become invisible. Think about the computer - the original mainframe - size and capability compared to today's phone!! This then leads to calm technology - it recedes inton the background. It becomes an extension to our 'conscious' - the disappearance of 'interface'. Some interesting readings and clips re augmented reality uses in education - Mark Billinghurst. Large companies creating augmented reality apps - what impact will these have on our ability to do the depth work? Check out 'The Shallows' by Nicholas Carr - what the Internet is doing to our brain. 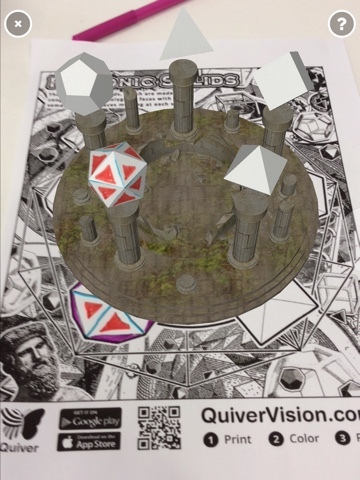 Augmented reality will impact on how we develop our curricular. Likely to see the 'blurring of lines' between virtuality and augmented realities - overlays can be made either way - which is an interesting view - reality overlapped into virtual worlds. 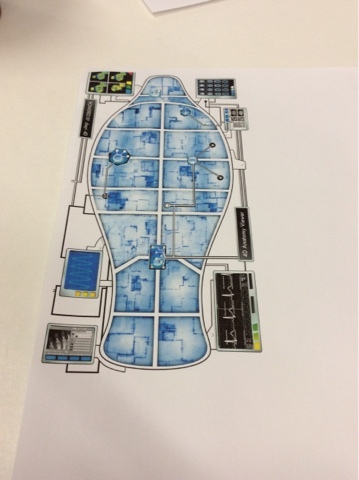 If I have any time ever, I might have a look at Ingress - overlaying the electronic game into the real world. Will allow workers to do things that they have never been able to do before 'the future or working' - do humans even need to be there. Invention and innovation are not the same thing. Technology does not lead to innovation. Innovation - generally brought about by need - or forced - screw top wine was because we could not get good cork. 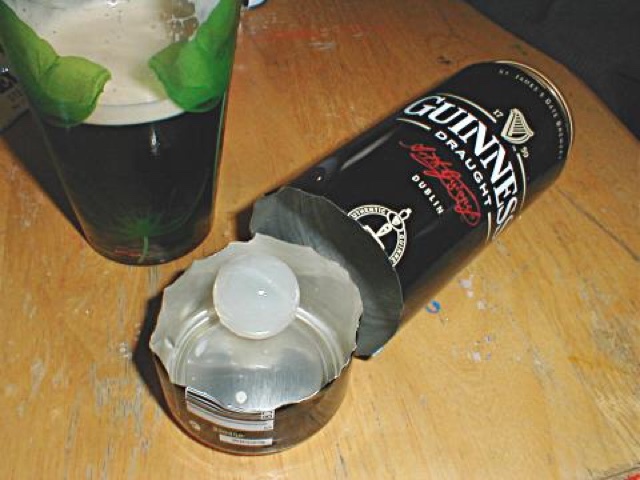 One if the most innovative recent designs is the Guiness can widget, which makes the Guinness head like a poured Guiness - the patent - gave them a lead for a few years. The flexible toothbrush, came from research - market demand - innovation came from the communication - brushing a tomato - it didn't need to be translated to any language, the image was enough! The difference between invention and innovation - eg the tide watch - the inventor onsold to Ripcurl, who innovatively marketed to surfers worldwide. Augmented reality - innovation or invention. 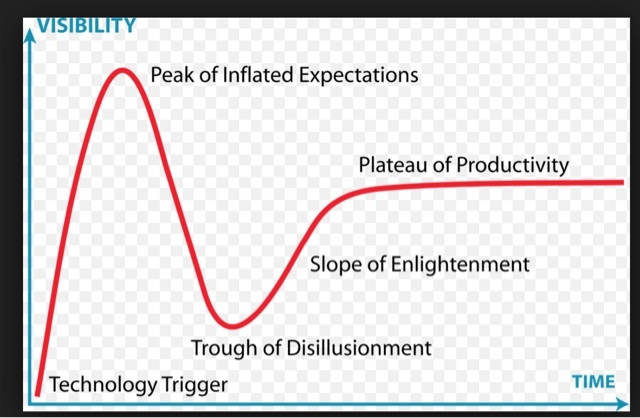 Gartner's Hype Cycle - new technology introduced - can be measured by this scale - I like the application of this to classroom technology!! You can map all technology introduction against this. Have to say I was lost me at Quantam Computing - other than its gonna be a major breakthrough in what our computers can go. Disruptive innovation - the more overdue a disruption is, and the more sudden it is when it finally occurs, the more off- guard the incumbents are caught. A good example is the music industry - technological innovation displaced the incumbents - but are they fighting back? Higher education is an example of how this is changing - MOOKS. What will the class of 2025 look like? The kids who enter school now, will graduate in 2025. What should they know? What should they be able to do? Today kids are already doing so much - a 'maker generation' - the previous generation are no longer teaching the current generation. They are working in answers to the world's complex problems. In 2020 - there will be 200,000,000 graduates - world wide competition for jobs - location not an issue. There will be no digital divide - Internet will be available to all - the globe will be covered - everyone will be connected! Images of Terminator Skynet come to mind! The world will indeed be 'flat'. Tablets provided in developing countries for as little as 10 pounds -focus on 'leapfrogging' technology. Connected devices exploding - world population 7 billion in 2020 - devices predicted to total 50 billion. Self-education - is now the gateway to the world - Sugatra Mitra - hole in the wall - his work is a good indication of this - though this is a little dated now. Virtual Reality is becoming more immersive - the blurring of the lines between augmented and virtual worlds (as mentioned earlier). Information sharing via the 5eyesnetwork - OK so, this is scary - but probably already what US is doing now. The undeletable amount of social media out there is unbelievable scary! The Sixth Sense - Patti Maes - social engineering at work! Vitally important to move away from the transmission model of the past - I guess this is what the MOEd's ILEs are all about. Vital conversation around what this means for the workforce - what can and can't be replaced by technology. Think about the role of teachers here - define the value of the teacher - what complex skills cannot be offloaded? Arcology - fully contained self sustained buildings - could this lead to fully self contained and sustainable cities?? De-extinction is possible in theory - a scary thought !! What the hell would we do with mammoths and dinosaurs! Jurassic World a scary reality! So much technology inventions - but how they are used in innovation at the moment? Which ones can get developed depends on - financial implications - who stands to make money? What skills do we bring to the table, that technology cannot replace? Has technology made our lives as teachers easier or not? Are we online, and available too often? Too long? How desirable is this? Compassion, ethics, soft skills - where do these come from? 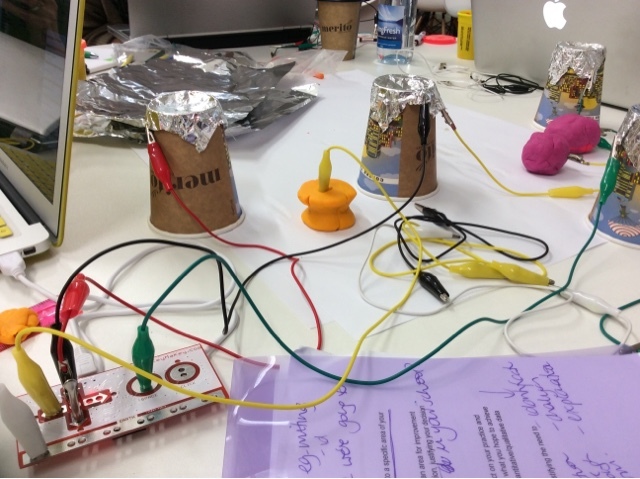 'How to integrate technology in a writing unit - not just with a whizz bang technology approach'. It was focussed around a Yr 10 class. A creative writing built from the literature - Term 1 film study, generated a setting - an integrated approach to curriculum planning. Pre writing tasks -create a visual representation of the setting - use your BYOD - and use familiar software - had to turn with a design day 1, Term 2. May have to rework setting as story develops - some use paint and paper, some Lego, some computer game, some mine craft, some sketch up, some 3D printed. Typical short story, conflict - and then looked at the writer's purpose. Created a video discussing the purpose of the short story, where had the idea come from. All students have a school only You Tube video - so they all posted on these. Great idea for all kids to have their own YouTube channel. Technology included - phones, videos, QR codes. Students plot the setting points and they narrate voice overs of this, discussing the setting. 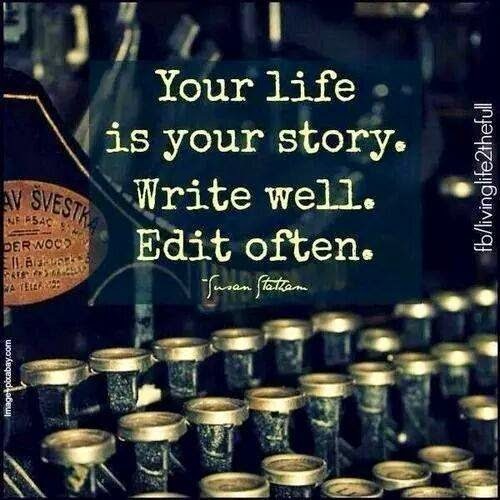 Rather than just writing about the setting. They still had to write about the setting later on. 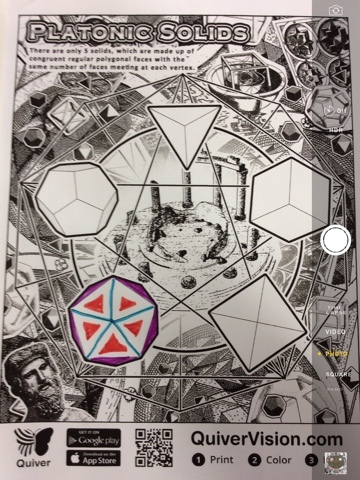 Students worked on this as collaborative groups. OneNote - used to build the collaborative notes. Spent the first 15 mins 'discussing' the first assessment - aaasgggh - actually have to get on and do it in the next 10 days. Define an issue - submitted in a video (!) - and design a collaborative and digital solution. 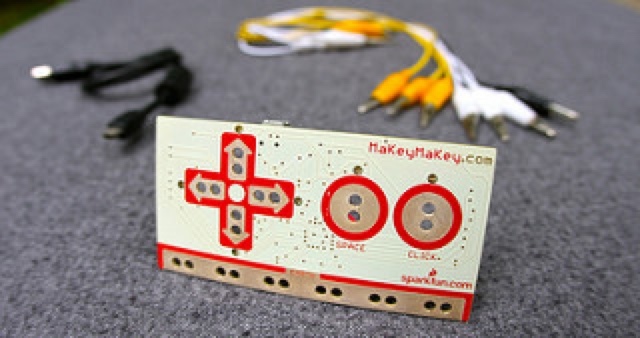 Makey Makey - makes an alternative circuit - students can be creative as they like with this - anything that is conductive is usable. They can also combine this with Scratch to make all sorts of things! Creative use of a keyboard. Check out the website to see usage of these. The focus on this part of the session was on us experiencing collaboration under time pressure. This led onto the theory part of the session - linked to this week's key reading. Discussion - why is collaboration such an impt skill now? 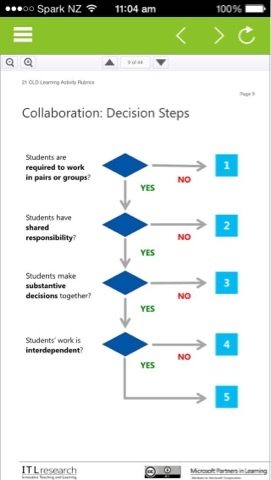 Interesting discussions around the following questions -,But, do you let students choose the roles all the time? What if they choose the same thing all the time? What if they need to learn all the key skills? How do we manage the skills that we want them? Below the rubric for assessing whether a task is truly collaborative, was discussed incline with the tasks we had experienced this morning - running our tasks 'through' this model makes us really think about the level of collaboration we think we are allowing. The key aspect needs to be the purpose - a risk. In NCEA and assessment, we do not take this risk. There's a lag in the system. We have aspirational skills in the ITL skill sets, but rarely aim for them. Nice analogy to pilots - we want them to learn by flying, ergo we want modern skill sets to be acquired by doing! If we want students to have 21st century skills, then we'd have to assess in this way. Research is critical to what we do as teachers - what is the relationship between research and practice? Different levels of research findings - research should inform practice - if theory says this will work - context based research - adaptability is important - there is a complexity and context is important. We need to question what - this is where teacher inquiry cones in. Research presents hypotheses not facts. Research can never be definitive because it's exploratory. we bring our own views towards research. To what extent is our own practice informed by research? I guess for me it's Bishop and Berrymann. The Dr Michael Fox video http://youtu.be/RcxW6nrWwtc for a funny look at the 'value' of research. There is a tension as a teacher / researcher - and ethical issues. You are part of the situation - you are a participant researcher - the focus is on qualitative research. The focus is on the how and why - the human experience - but we need a mix of both - best evidence synthesis. In my contexts - what are the benefits of research? We cannot be ignorant of the research, but at the same time cannot panic about it - it never has a definitive answer and is often contradictory. Why do we need the literature? Because despite its flaws, it's better than anecdote and hearsay!! !